Our booth contained a variety of product displays! Shown (from left to right): Brow Expert Design Kit (coming July 23! ), limited edition Paris Palette, the Extravaganza Complete Kit, BARE, DARE, and FLARE Eye Shadow Palettes. Our booth was non-stop busy! 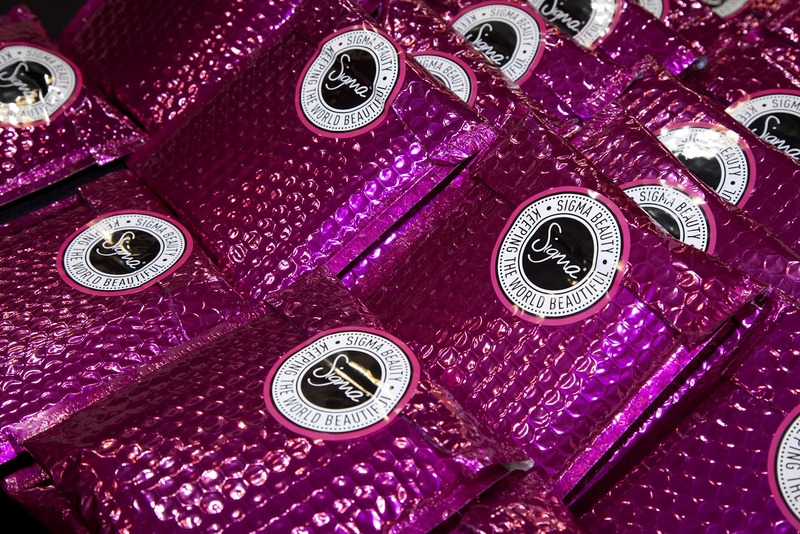 The Sigmax brushes were such a hit that we sold out within the first two hours! 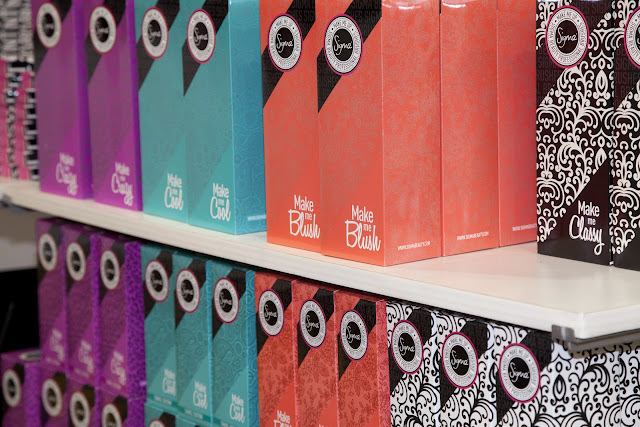 What would a Sigma booth be without a full stock of Make Me Up Kits?! 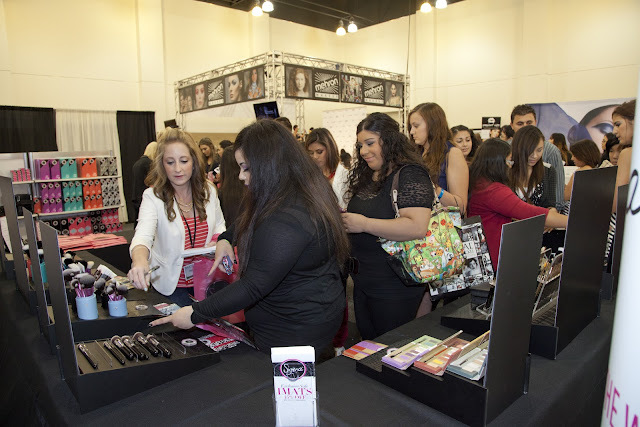 We handed out mini press kits to pro makeup artists, top beauty bloggers and industry specialists. 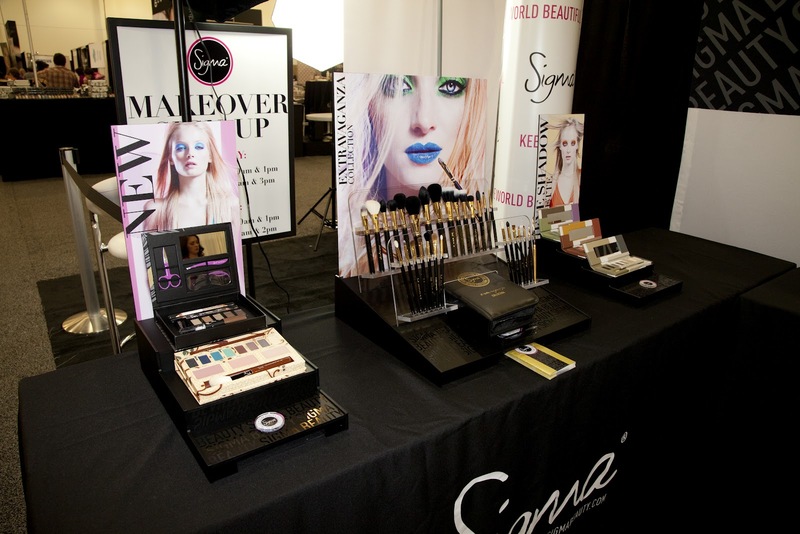 Each kit contained our best-selling F80, our summer look book, an E05 eye liner brush and a mini eye shadow. Paige, Sigma's PR coordinator (who you've seen here) and Annie, the affiliate program manager, took orders and gave the first 3,000 visitors a Sigma gift bag that included our summer look book and the best-selling E05 eye liner brush! Our marketing coordinator Tonya was very helpful with answering customer's questions and helping them check out quickly. Visit the blog again tomorrow for an in-depth recap of makeovers done by Tiffany and Camila at the Sigma booth! 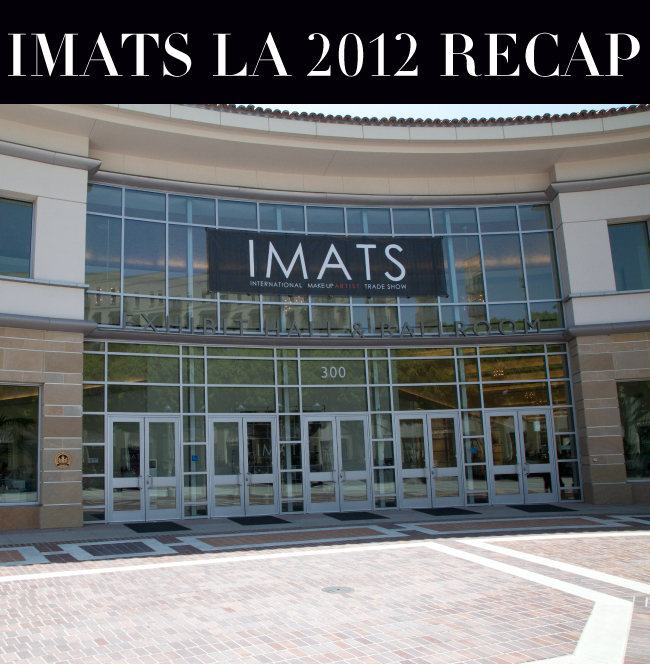 You can also view more photos from IMATS on our Facebook page! I'm very jealous! I wish I could have gone :/ Maybe one day! so jealous! wish I could go! I can't wait to go to NY & see you guys!!!! I am so excited!!! Hi, Stina! Unfortunately we do not go to the IMATS in NY at this time, only the one in LA. I love my sigma brushes that i got at imats amazing! First sigme brushes! and haha Im in the third picture! The tall brunette girl with the blue wrist band showing! haha I feel special! : ) Im glad I went to sigma first! You guy's will be in IMATS Toronto? No, only LA this year. Will you guys be at IMATS NY in April?